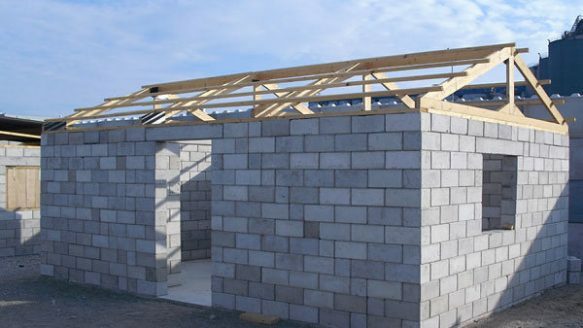 Haitian families will be able to build their own homes in a pilot project, expected to be launched this year, that uses stackable bricks made from rubble as building blocks. That’s the idea behind The Mobile Factory, a Dutch project that hopes to give survivors of natural disasters and wars the tools they need to rebuild their homes using rubble and technological know-how. “If we reuse rubble, with which we can produce earthquake-resistant houses at low cost, that means that everybody gets the same chance,” explained Gerard Steijn, founder of The Mobile Factory project. Thirty homes will be built on the outskirts of Port-au-Prince, Haiti, with construction set to begin later this year in a pilot project to test the technology, Steijn said. With 125 kilograms of rubble, the group says it can build one Q-Brixx block (using 25 kg of debris) and reinforce basic infrastructure, such as earthquake-proofing the home’s foundation. The project’s website states that 750 blocks go into the construction of one home. The blocks (measuring 20x10x10 centimetres) are similar to LEGO pieces in that they are stackable and can be used to make different types and sizes of homes, Steijn said. Bamboo rods will reinforce the walls, and the roof will be anchored by a steel cable,Reuters reported. “If you use (a) brick-laying system, you connect blocks to each other in a stiff way that makes it weak in an earthquake situation. If you stack them instead of putting mortar between it, then the blocks are going to tremble instead of breaking when there is an earthquake,” he told the Star. The group is currently fundraising online and hopes to get $400,000 in donations to get the “Petit Paradis” (Little Paradise) community off the ground. By midday Monday, they had raised just over $3,000. Future residents of the community will be trained to build their own homes, explained Joel Dresse, Belgium’s Honorary Consul in Haiti, who owns the 6,000 square metres of land where the houses will be built. Dresse’s wife runs a factory called Caribbean Crafts, which employs 200 Haitians who recycle scrap into home decor sold worldwide, Reuters reported. These workers will build their homes in Petit Paradis, he told the Star. “They are excited because they see the potential, they see the plans,” Dresse said, adding that housing plans were revised several times to reflect the needs of local people. A devastating earthquake struck Haiti in 2010, leaving more than 230,000 people dead, displacing 1.5 million others, and levelling homes and basic infrastructure. The quake created about 10 million cubic metres of debris, more than 97 per cent of which has been cleared from the country’s streets, according to the United Nations. “These blocks are good for construction in Haiti and . . . make the houses easier to build. I think this would be something very interesting for the country,” Dresse said. He said he expected the technology to arrive in Haiti in the fall, and for construction of the blocks to begin by the end of the year.